Not only are they cute, fun, and loveable, animals are known to provide great comfort to humans in times of stress. I mean seriously, what dog owner doesn’t love the greeting they get when they walk in the door after a long day? The furiously wagging tail, the sniffs, the licks, and even the barks (my dog makes this great hybrid howl/chirping noise that you have to hear to believe). It kind of makes you forget all about that bad day at work, the long and frustrating commute home, or the long lines at the grocery store. None of that matters to a dog. They just know that you are home, back in the only place that matters. And what cat lover doesn’t relish in the quiet moments snuggling with your kitty on a lazy afternoon, hearing that gentle purr, feeling the tickle of those whiskers on your face. I don’t know about you, but my cat has the softest belly, and while I’ll be the first to admit I wasn’t really a cat-person before she came into my life, she has brought a certain something to my days. 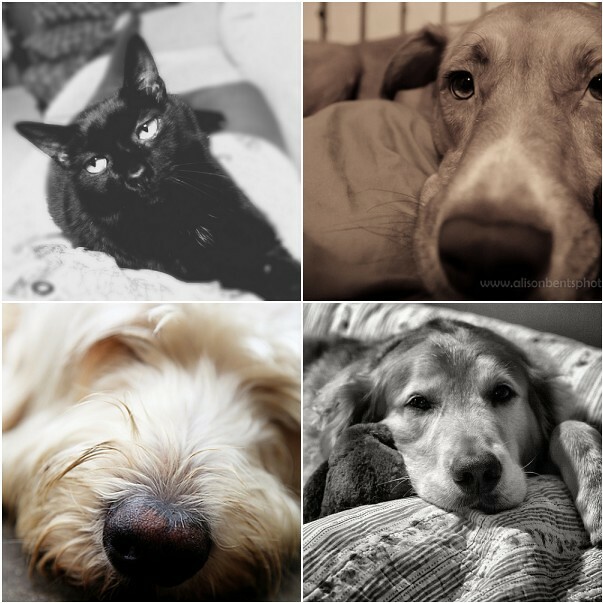 I can see from our flickr pool that you too get comfort from your pets. There’s just nothing like that loyal, uncomplicated, unconditional love. I hope that you’ll continue to share your comfort images with us throughout the month…whether they be furry, family, frothy or otherwise! Our home is like a zoo! Two rabbits, one guinea pig, one fish and one cat. But I take comfort from them all. Thank you Christy. Yes. My baby boy gives me a ton of comfort. Total and unconditional love. Love all these furry captures! 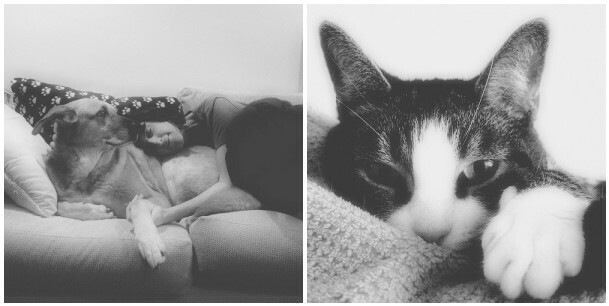 Pets are the sweetest and a wonderful part of life. Oh! these are so adorable! I can totally relate to everything you just said!